The Bennies Announce ‘Party Whirldwind’ Tour! 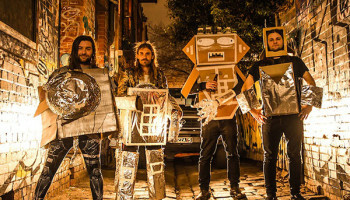 – Spotlight Report "The Best Entertainment Website in Oz"
The Bennies Announce ‘Party Whirldwind’ Tour! The Bennies have a habit of making friends wherever they go. Perhaps it’s the mileage they’ve clocked up and couches they’ve crashed on. Perhaps it’s just that they’re rather excellent people. Either way, it’s unsurprising that they had quite the stash of talented friends to call upon when it came to finding supports for their Party Whirlwind tour this March. 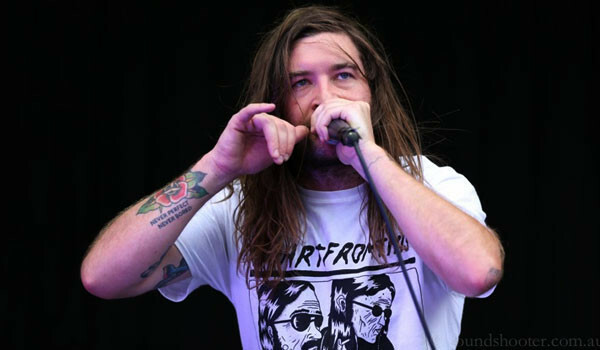 The Bennies have announced a team of Australia’s finest to warm stages this March. From Foxtrot, to The Disables, Chinese Burns Unit and Dan Cribb, the line ups are exceptional ensembles all capable of lending their own flair and fury to the Party Whirlwind that is very quickly approaching. 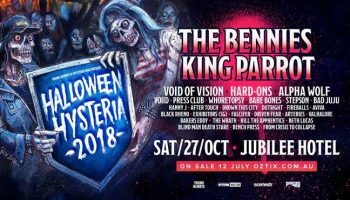 The Bennies announce Australian Tour!